these are rough numbers from around 2012. Germany as you can see has the most commercial breweries per capita. Many of them are small scale family owned breweries (some call them "craft breweries" lately) and brew-pubs around half of them in Bavaria. On the other hand there is a very small number of homebrewers on the continent. 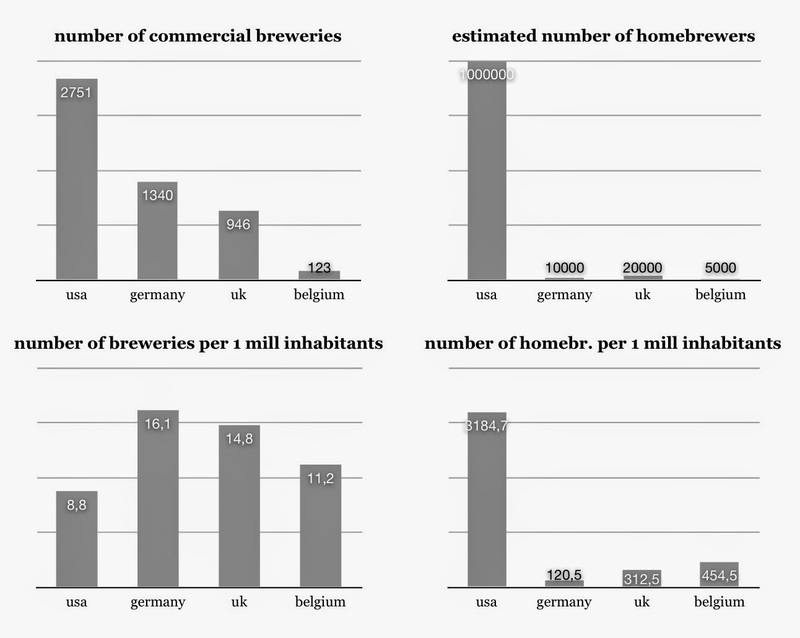 In the US one of every 300 inhabitants brews, in Germany it is only one of every 8000. In other publications you can read things like: in germany there are more than 5000 styles of beer brewed. (they mean every brewery brews averagely 3,7 styles). A great variety of pale lagers!